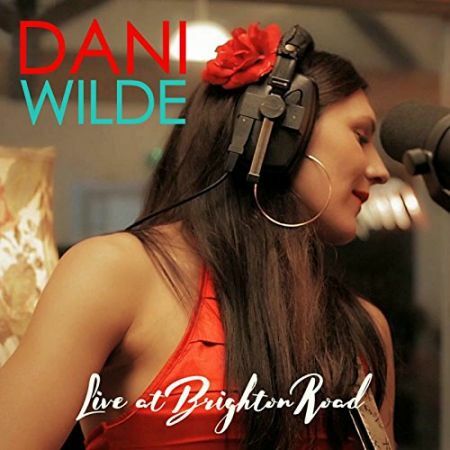 Dani Wilde is a modern day British blues phenomenon, first gaining popular notice in 2007 when she opened up for Jools Holland at the venerable Royal Albert Hall, and then getting signed to the blues powerhouse label, Ruf Records. Wilde has worked very hard since then, playing up to 250 shows a year on three continents, and collaborating on the “Girls With Guitars” project with like-minded blues women Samantha Fish and Cassie Taylor. In the ten years since, Dani has released three solo albums, and her new VizzTone release certainly appeals to more than just ears. Live at Brighton describes exactly what she put together, as it is two sets of songs that were recorded live at Brighton Studios in the UK. 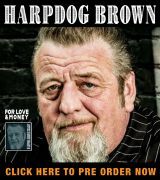 The playlist is broken in half with “The Acoustic Session” and “The Electric Session.” As an added bonus, the whole thing was recorded on video and there is a DVD included in the set with a bonus interview chapter. Dani provides the vocals and guitars for this project, and some fine musicians joined her in the studio, including her brother the harmonica whiz: Will Wilde. The “Acoustic Session” kicks off with Memphis Minnie’s 1930 tune, “Bumble Bee.” Dani does a respectful version of this classic, with just her vocals and acoustic guitar, accompanied by Will’s harp. They are an amazing duo, and the recording is clear so that no nuance of their performance is lost. There are also three original songs, “My Old Man,” “Glorious Day,” and “Electricity,” as well as an extended take of Mike and the Mechanics’ 1988 hit, “The Living Years.” This ballad has amazingly powerful lyrics of regret over unresolved conflict with one’s father, and for this song Dani is joined by Sarah Davison on cello, and the trio of Megan Devereux, Kate Cameron, and Faye Streek on backing vocals. The overall effect is breathtaking, making this one of the standout tracks on the release. 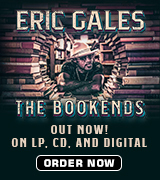 The “Electric Session” includes the other five tracks, including a neat cover of “Hound Dog,” that is performed differently than the way Big Mama Thornton, Freddie Bell, or Elvis did it. This version has a Latin rhythm provided by Victoria Smith on bass and Alan Taylor on drums, with killer solos by Will on harmonica and Gregory Coulson on the keys. Dani has a lovely growl (sultry!) to her voice and lays down an awesome guitar solo to boot. The rest of the electric songs are originals and they carry on where Ms. Wilde left off when she switched labels from Ruf to VizzTone. One of my favorites is “Don’t Quit me Baby,” which is has a classic electric blues sound with organ, distorted harp, and crisp guitar leads. The DVD portion of this set is cool and user-friendly, with a clear menu that allows the viewer to select any (or all) of the ten songs, and the bonus interview portion of the disc. The content is well lit and the depth of field focuses the action on the performers, not their environment. Multiple camera angles are used, and the editing very good so that the folks at home get an intimate view of what was going on in the studio that day. The DVD is supposed to be a supplement to the CD, but it stands well on its own and the interview portion really helps to tie everything together. Dani Wilde’s Live at Brighton is a treat for the ear and the eyes, and being able to see the songs being recorded gives a new appreciation for her abilities and the talent of the musicians that came to the studio to pitch in. This is a cool release, and it would be a great place to start if you decide to start collecting Ms. Wilde’s catalog. As of today, there are only European dates on Dani’s tour schedule, but if the past is any indicator of what we can expect in the future, there may be some American (and maybe African) dates added. Check out her website for details if wish to learn more!